Watch Message from Sir Fazle Hasan Abed, BRAC Founder & Chairperson on World Pneumonia Day 2011Globally, in every 20 second a child dies from pneumonia. This loss of life is even more tragic because nearly all of these deaths are preventable, and more than 98% of childhood pneumonia deaths occur in developing countries. Safe and effective vaccines, inexpensive treatments and preventive measures exist that can save lives. Last year, the Australian Government commissioned an independent review of its overseas aid program, AusAID, to examine the effectiveness of the current program and recommend improvements. The study's findings, which were published in an April 2011 report, found that AusAID's overall performance was effective, particularly in Bangladesh where it has delivered key improvements in education, health, and reducing extreme poverty. The review cites that these results have been achieved through a range of partnerships with NGOs, most notably BRAC. In a resounding endorsement, the review panel argued that "BRAC is a good example of an effective local NGO that Australia can confidently support." Below is post from Christy Turlington Burns, founder of the non-profit organization, Every Mother Counts and Director/Producer of the documentary film "No Woman, No Cry". 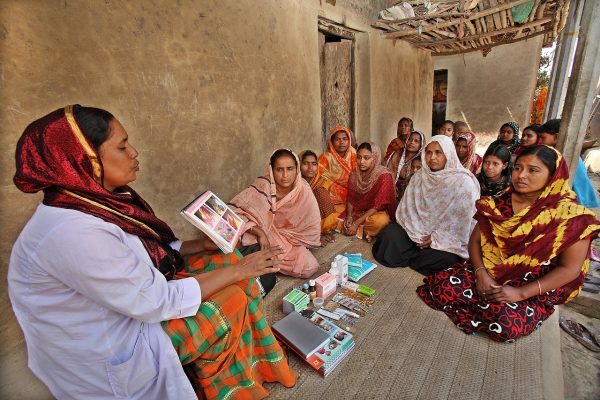 In this article, originally published on Huffington Post, Christy Turlington Burns writes about her experience of returning to Bangladesh for the first time since filming the segment on BRAC's Manoshi project aimed at improving maternal health in the slums of Dhaka. We started our day at Dhaka Medical College's teaching hospital where we learned more about one of the most common pregnancy-related morbidities (or disabilities) that poor women endure in childbirth; obstetric fistula. An obstetric fistula is when a woman suffers an obstructed labor, ultimately tearing a hole in her birth canal. Fistulas lead to incontinence of urine, feces and often cause infertility. Equally as devastating is that most women with fistulas are ostracized by their families and communities. Below is post from Christy Turlington Burns, founder of the non-profit organization, Every Mother Counts and Director/Producer of the documentary film "No Woman, No Cry". In this article, originally published on Huffington Post, Christy Turlington Burns writes about her experience of returning to Bangladesh for the first time since filming the segment on BRAC's Manoshi project aimed at improving maternal health in the slums of Dhaka. Today, TrustLaw, which runs AlertNet, published a "Danger Poll" identifying the world's five most dangerous countries for women, with Afghanistan topping the list. These figures serve only to further motivate our dedicated BRAC Afghanistan staff, who strive every day to change these conditions.Among the multifaceted BRAC Afghanistan programs in microfinance, health, enterprise development, community development, and education, are 2,297 BRAC schools where 84% of the enrolled students are girls. BRAC is realizing the potential of gender equality in education by increasing the enrollment of young girls through completion of their primary education, and by training local women to teach in these schools. GAIN – the Global Alliance for Improved Nutrition – organised a partnership discussion "Innovative Partnerships to Improve Maternal and Child Nutrition in Bangladesh" on 13th February 2011 in Dhaka. The conference was held to fight against maternal and child mal-nutrition by working together BRAC and GAIN aim to use their partnership to "fight against maternal and child mal- nutrition" (Executive Director for Gain March Van Ameringen). 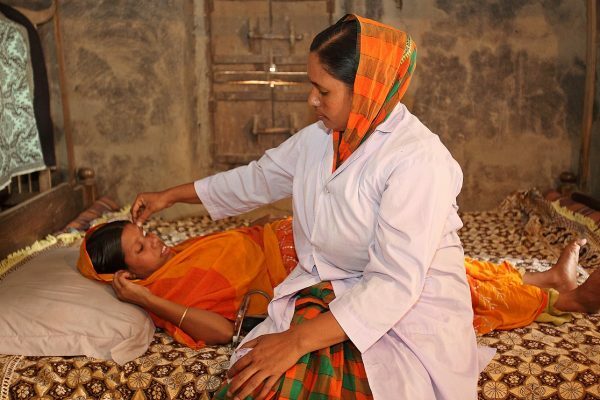 Below is an article published on The New York Times by Tina Rosenberg about BRAC's community health workers A different, ingenious approach is taken by BRAC in Bangladesh. 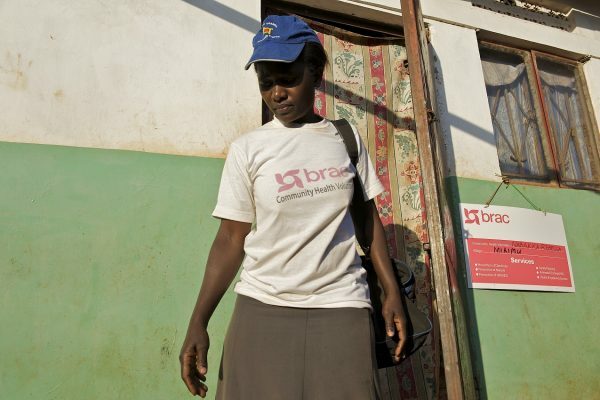 Nearly 30 years old, BRAC is a poverty-fighting organization, and a giant one — health care is only one of the things its 28,000 employees do. It also has more than 80,000 community health workers, which it calls volunteers, who cover more than 100 million people. How BRAC has contributed to saving Bangladeshi mothersOn February 13, 2011, Bangladeshis woke up to some wonderful news: a significant nationwide Maternal Mortality Survey showed that Bangladesh has achieved tremendous improvement in reducing maternal mortality in the last 9 years - a whopping 40% drop, from 322 to 194 per 100,000 live births, putting the nation on track to meet the United Nations (UN) Millennium Development Goal (MDG) 5 by 2015. Percentage-wise, the rate of decline is about 5.5 percent each year on average, 0.1 percentage point lower than the required 5.4 percent for attaining MDG 5. "From One to Many: Scaling Up Health Programs in Low Income Countries" published by The University Press Limited was recently launched. The book is an excellent resource for anyone interested in learning about both the problems and the opportunities involved in effectively scaling up health programs. The book is a collection of articles submitted to the International Conference on Scaling Up Health Programs, held in Dhaka, Bangladesh in December 2008. Mary Naluwu is a BRAC Community Health Volunteer (CHV) in Kihombooza village, near Hoima town in western Uganda. As she walked with, Hellen Birungi, a BRAC Health Project Assistant (PA), carrying out their duty in the village, they found a pregnant woman at her home with high blood pressure and referred her for medical treatment. That day Naluwu and Hellen were providing ante-natal care to pregnant women in their homes.